One of the primary reasons why many people choose to purchase a pre-owned car is that they know they are saving money right away. However, the Volvo Certified Pre-Owned program delivers so many other benefits to drivers that many people become loyal repeat customers. The Volvo Certified Pre-Owned program ensures that every Volvo is thoroughly tested for any mechanical issues and is either rejected or fixed so that it is ready to drive. 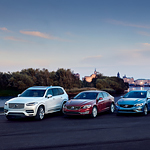 They are also part of the standard Volvo warranty program that does not expire at a certain mileage point or year. If you do have an issue on the road, the techs dispatched through the Volvo Roadside Assistance plan are available to help you at all times, even on holidays. This makes buying a pre-owned Volvo all that more attractive. Test drive a Volvo Certified Pre-Owned vehicle to get the most value for your dollar at Volvo Cars Charleston.